Find a course near you by searching our comprehensive Course Directory. 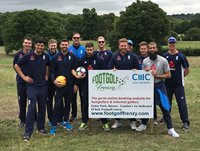 The “go-to” booking website – Book a Footgolf round today! 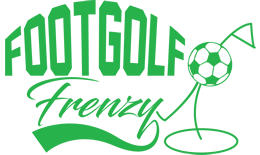 If you want to make a group booking at a course then email us at info@footgolffrenzy.com or complete our group Footgolf booking form and let us know your requirements. City lovers can come and get their urban buzz reignited whilst combining the Capital’s highlights with a game in London. Bookers can choose from courses located in Barnet, Richmond and Ealing. 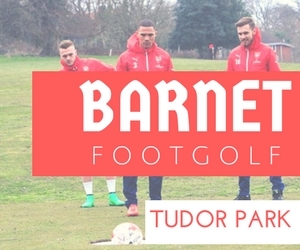 We recommend Tudor Park (Barnet) which has played host to the England Cricket Team and Premier League footballers; as well as Horsenden Hill which is located in the heart of West London and offers a warm-welcome. 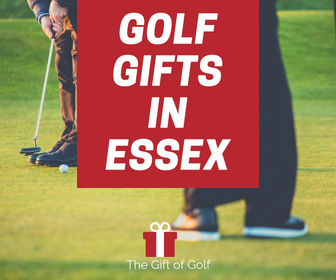 Choosing a course to play in Essex is difficult because there are so many quality and enjoyable courses in the region. For starters there is The Notleys in Braintree. 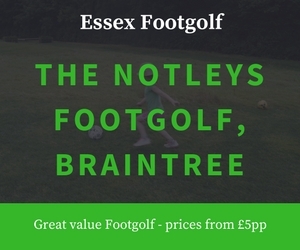 This course is played on a modified and lengthened pitch and putt course and gives Footgolfers the opportunity of an interesting 18 hole game. There is also West Park in Chelmsford which is located near the train station and offers a competitive game for all. Manchester is the ideal location for this sport with so many great venues. As home to both Manchester United and City, there must be many keen football fans wanting to try their hand at this exciting sport. There is Pennington Flash that offers a 6-hole course that is 507 yards or Footgolf Manchester which offers a great way to have fun with family and friends. Wales has a number of courses that are a must-play. The country is renowned for its beautiful scenery and now has a range of courses perfect for challenging your skills and keeping you fit in the process. We recommend Storws Wen in Anglesey that has a 9 or 18 hole course, Silver Birch Footgolf in North Wales (Abergele) or Dyffryn Clwyd in Ruthin, Denbighshire, which is a fantastic course that is usually open daily. Scotland currently has 15 course and the number is set to rise in 2018. 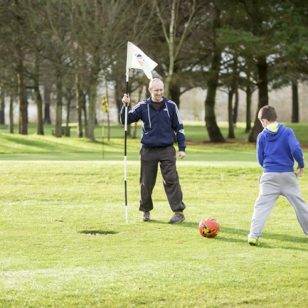 Golf has been part of Scottish history since the 15th century, however its now becoming a focal point for Footgolf. The diverse scenic nature of the landscape in Scotland ensures each course is unique and has their own individual challenges. 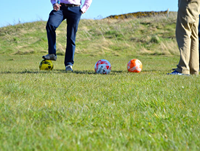 Edinburgh Footgolf is one of the most popular courses you will find which offers an enjoying round for all. Dramatic coastlines and inland beauty gives Northern Ireland an interesting selection of courses. The number of courses is growing but the courses are in easy reach of all the main towns. 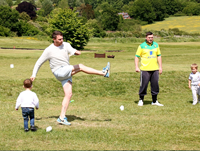 We recommend Foyle in Londonderry, Belfast (Mount Ober) or Newcastle Footgolf in Downpatrick. 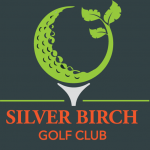 Silver Birch Footgolf course is set over 1,634 yards and is diverse and challenging. Visitors reviewing this club give it consistently high scores, and a game of Footgolf here will be thoroughly enjoyed. 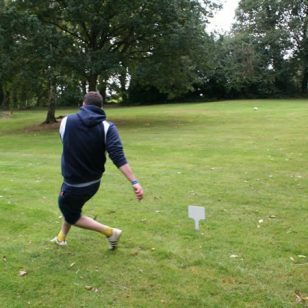 Silver Birch hosted the UK FootGolf Welsh Open in 2016, 2017 and 2018 as well as the inaugural Tri-Nations in 2018. They are also hosting the Welsh Open this year on Sunday 15th September and the Tri-Nations is being played the day before. Want to be our featured course? Contact us. We now offer a golf tee time booking facility. We have a number of rates that have been exclusively agreed and you will not find these rates available anywhere else. Book online today! We are the most comprehensive Footgolf directory providing detailed information on courses across England, Wales, Scotland and Northern Ireland. We offer the ability to book a round online at some of the most popular courses in the UK. These include The Notleys in Essex, Storws Wen in Anglesey which offers variety and challenge, Dyffryn Clwyd in Denbighshire which is open daily, Tudor Park (Barnet) situated less than 1 mile from New Barnet Rail Station, the friendly and welcoming Preston and Formby in Merseyside which is one of the best resorts in the North West. We hope that by booking through us that you enjoy a seamless booking process and experience great game at your chosen course. Join the Frenzy! 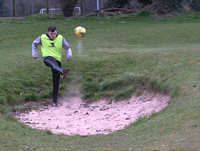 Are you a Footgolf Course? 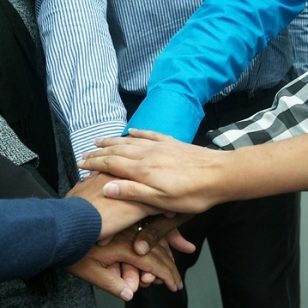 Do you need help marketing your course? 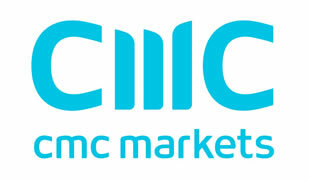 We offer great value marketing for courses why not click here to find out more. If your course is not currently featured on our directory then please complete the following form and we will get it added for you free of charge. 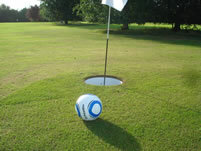 If you are looking for a gift with a difference this year, why not buy some Footgolf vouchers? We currently offer a number of gift vouchers at some of our courses. Get the latest offers and news straight to your inbox. 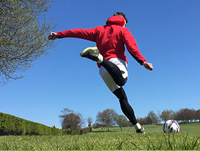 Are you a Footgolf Course? Looking for more ways to promote your course? Click here to find out about the services that we offer.